When it comes to construction, project managers strive to control costs by avoiding overruns in time, materials and capacity. This holds true no matter the industry, but most especially in the oil and gas market. Project management encompasses the methodical charting of each precise benchmark that makes up the construction project. Pre-planning is crucial to an on-time, on-budget project. Surprises are always unwelcome, especially in the oil and gas industry, where the projects are complex and expensive. There is a great deal of pressure on construction project managers to finish the work and recoup the investment. That’s why the survey mapping process is so important. Surveyors on oil and gas projects are tasked with accurately capturing existing infrastructure, terrain and spatial boundaries of an energy project. Their job is to gather a tremendous amount of data, calculate key components, and share the information quickly and efficiently. Surveyors have been finding ways to accomplish this through some important technology breakthroughs that have changed the industry – for the better. 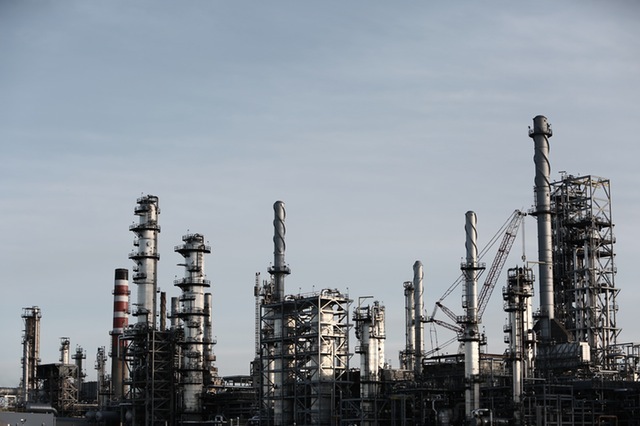 In this post, we take a look at three of these breakthroughs and how they are helping the oil and gas industry to cut costs and keep construction projects on track. While the military developed and first used Unmanned Aerial Vehicles (UAVs), the energy industry was an early adopter of the technology. UAVs improve the speed and accuracy of surveying. The drones cover a lot of ground in a short time, scanning up to 400 acres per hour. Drones can also go places that would make the hair stand up on a traditional surveyors neck. Mapping high places and rough terrain are not a problem when you survey by drone. For fast, efficient data collection, UAVs are exceptional. Drones not only move quickly, they help lessen the number of physical-hours needed to collect, analyze, and disseminate survey data. The quality of that data is incredibly precise; at around 2cm/pixel resolution, these images are a game changer for oil and gas surveying. Turn-around time for survey results can occur within 24-hours and the data can be digitized and sent through the cloud to any device. Sending large files through cloud-based sharing helps project managers disseminate data to multiple users quickly. This makes for easier management of multiple off-site construction teams, helping streamline a complex project. Field data can be captured by construction teams and sent back wirelessly to HQ. Complex survey files can be stored securely in the cloud and accessed from any digital device. These efficiencies have had a very positive effect on the oil and gas industry. Oil and gas construction project managers don’t have to rely on traditional technical drawings. Sophisticated survey technologies now allow building information modeling, a mapping process that gathers geological and geophysical data and transforms it into digital images. These design programs are incredible tools for construction, allowing 3D computer models that go beyond traditional survey site image by mapping the impact of light and shade. The BIMs are created through 3D laser scanning. 3D lasers process individual points across a survey site, and the data is collated into a point cloud. The data from the cloud can be extrapolated into the BIM. Traditional survey techniques have to continually evolve to keep pace with the oil and gas industry. These latest cutting edge technologies have important implications for the speed and accuracy of survey data collection for any oil and gas project.